A young lady has emerged on Instagram professing her undying love for the Omo Baba Olowo star. A lady with the Instagram handle Qeenlonyea claims Davido is her boyfriend and even shared a photo of O.B.O’s tattoo on her waist. 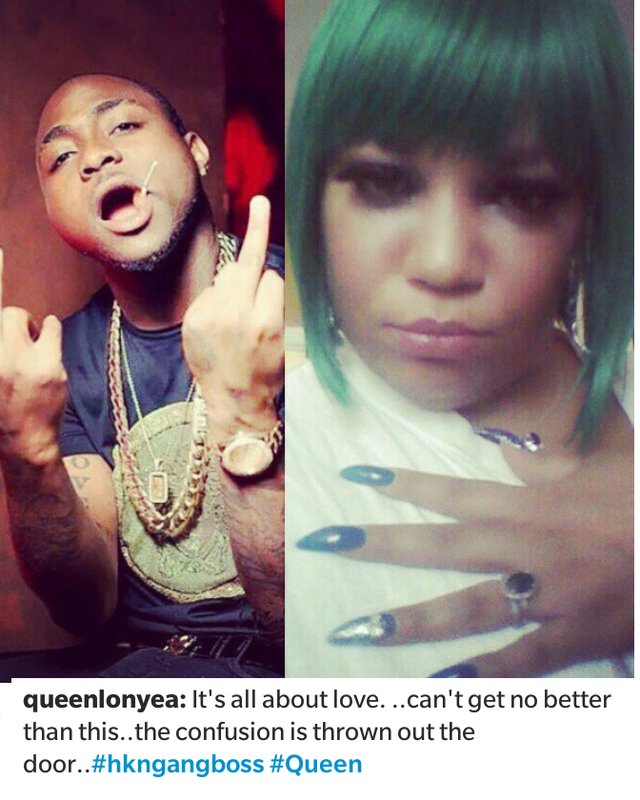 Queenlonyea also claimed she has a baby for Davido, and when the news of Davido’s baby with Sophie Momodu hit the internet, she attacked him. Davido is yet to comment on this issue and we know he won’t even bother.